This is the day that the Lord has made . Don't worry about anything. People around you may always be finding fault on you. But never ever ruin your day listening to others negative comments. The One who has created you considers you, a very special person. You are His masterpiece. Trust Him. He'll turn all the negatives into positives. Let us be reminded of generous giver -King David. Though the Lord didn’t choose him to build His temple, David invested all his resources to the project (1 Chronicles 29:1–5). The leaders under him and the people they served gave generously too (vv. 6–9). The king acknowledged all they’d contributed had first been given to them by God -the Creator, Sustainer, and Owner of everything (vv. 10–16). When we recognize God owns it all, we can commit to grateful, generous, and faithful giving for the benefit of others. And we can trust the Lord will provide—and may even use the generosity of others to help us when we’re in need. Lord, please help us remember You own it all as we commit to giving You our all, willingly and selflessly. God gives first, and He always outgives His most generous givers. Now what is next to do? 1 Thessalonians 5:17 has the answer which is, "Pray without ceasing." In order to maintain and improve your joy, always be in a spirit of prayer; retain a continual sense of your spiritual needs and your repentance on God through Christ for the supply of those needs and let your desires for that supply be frequently offered to God in faith. You must pray in faith and believe it is already done. (Mark 11:24). Let your heart aspire after God and long for a deeper relationship with Him. Be conformed to Him; be constant in the use of private and fervent prayer at all seasons. Joining also at all opportunities with your family, Christian brothers and sisters and the congregation of God's people in social and public addresses to the throne of grace. In everything give thanks, remembering not only your dependence on God, but your obligation to Him for all things, temporal and spiritual and being persuaded that you can never be in circumstances of affliction, but that you have much greater cause for thankfulness than complaint. This is Christian perfection. The Lord has purchased joy as well as righteousness for us. It is the design of the Gospel, that being saved from guilt, we should be happy in the love of Christ. It is said that prayer is the breath of our spiritual life. As we enjoy the presence of God, you should offer prayer and praise without ceasing. Or else our rejoicing is only a delusion. Thanksgiving is essentially connected with true prayer. He who always prays is giving praise for prosperity and the greatest adversity. We must bless God for all things; look on them as coming from God and receive them only for His sake. Not refusing or disliking anything. For this you should rejoice, pray and give thanks. This is the will of God in Christ Jesus. Who is always holy, just, good and always aiming at heavenly places. After that you have to note that the only place you can find success before work is in the dictionary. God provides worms for birds, but he doesn’t throw the worms down their throat, they have to go find the worms. You fight poverty the American way. Go to work. Six days you shall work. God worked. It is God-like to work! Has God given you grace when you deserved wrath? Has He given you mercy when you deserved judgment? Has He made a way where there seemed to be no way? Has God been enough when you knew you were not enough? If He has, then be thankful and bless His name for He is good and His mercy endures forever. He should be the object of all of our worship and praise, because of what He has done, is doing, and will do! God wants you to be in His presence. He wants you to enjoy Him. He wants you to know His power. He wants to teach you how to follow Him. He wants to open up doors of impossibility for you and make a way where there seems to be no way. All you need to do is ask, for the Bible has promised that whatever you ask for in Jesus’s name in faith believing, you will receive it! 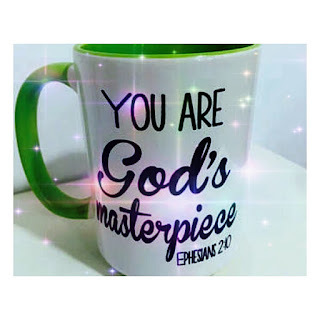 You are a God’s masterpiece! Receive your healing now! Healing has already been provided for you 2000 years ago. God wants you well. His healing, redemption and salvation have no conditions. They are gifts the Lord provided 2000 years ago when Jesus died on the Cross. (Romans 6:23). You are a child of God and you have been healed. Your mind should always be on Jesus instead of your illness. Doctors are known by their practice. Jesus heals you immediately. You must have faith in God. Matthew 17:20; "And Jesus said unto them, Because of your unbelief: for verily I say unto you. If ye have faith as a grain of mustard seed, ye shall say unto this mountain, Remove hence to yonder place; and it shall remove; and nothing shall be impossible unto you." You must believe. Your unbelief will keep you sick. Jesus is the resurrection and the life. (Luke 10:38-42). It doesn't matter how long you have been sick. The man by the pool at Bethesda was sick for 38 years. (John 5:1-15). 1 Corinthians 2:16; "For who hath known the mind of the Lord, that he may instruct him? But we have the mind of Christ.You have the mind of Christ which is a deep revelation. Christ knew who He was and His purpose here on Earth. You have the mind of Christ because you are in Him and He is in you. You are the temple of Christ. If you have the mind of Christ, you can never be defeated. Your illness and disease was put on Jesus. Joshua 1:8; "This book of the law shall not depart out of thy mouth; but thou shalt meditate therein day and night, that thou mayest observe to do according to all that is written therein: for then thou shalt make thy way prosperous, and then thou shalt have good success." You must meditate on the Word of God day and night. All sickness will be gone and you will be prosperous and successful. Ephesians 2:6; "And hath raised us up together, and made us sit together in heavenly places in Christ Jesus:"
We died and was buried and rose with Christ. We are now ambassadors with Christ and we reign with Him. God covers you with His favor and His favor surrounds you. Just believe, have faith and trust in God. Psalms 91:16; "With long life will I satisfy him, and shew him my salvation." God wants you to live and glorify Him in everything you say and do. God wants you to live a long life so you can manifest His glory, grace and righteousness to everyone you encounter. Life and death are in your mouth. (Proverbs 18:21). To the world, He may be a God of judgment, but to you, He’s all love. He said in Jeremiah 31:3, “...Yea, I have loved thee with an everlasting love: therefore with lovingkindness have I drawn thee.” No wonder He tells us to approach His throne of grace with boldness and obtain mercy, and find grace to help in time of need (Hebrews 4:16). Take advantage of the grace and mercies of God. Luke 10:30-37- “And Jesus answering said, A certain [man] went down from Jerusalem to Jericho, and fell among thieves, which stripped him of his raiment, and wounded [him], and departed, leaving [him] half dead. 31 And by chance there came down a certain priest that way: and when he saw him, he passed by on the other side. 32 And likewise a Levite, when he was at the place, came and looked [on him], and passed by on the other side. 33 But a certain Samaritan, as he journeyed, came where he was: and when he saw him, he had compassion [on him], 34 And went to [him], and bound up his wounds, pouring in oil and wine, and set him on his own beast, and brought him to an inn, and took care of him. 35 And on the morrow when he departed, he took out two pence, and gave [them] to the host, and said unto him, Take care of him; and whatsoever thou spendest more, when I come again, I will repay thee. 36 Which now of these three, thinkest thou, was neighbour unto him that fell among the thieves? 37 And he said, He that shewed mercy on him. Then said Jesus unto him, Go, and do thou likewise. Isaiah 46:4 “Even to your old age I am He; and even to hoar hairs will I carry you: I have made, and I will bear; even I will carry, and will deliver you. Let do a little buttress -"Even to your old age I am He." Even when you look in the mirror and see yourself changing -more wrinkles, less hair, fewer teeth -even then, I am still He. I am still the unchanging, unchangeable God. It was I, God says, Who carried you out of the womb in your infancy; and it is I, He reminds us, that will still be here for you when you grow old. Though your strength and energy may diminish, I am still able to bear you. Though your hair may become gray, I remain the same. "I will carry, and will deliver you." Rather than calling the end of our road death, God calls it deliverance. Why? Because when God is carrying you, death is only the doorway to an everlasting life. As a God’s masterpiece you are bound to enjoy God's promise: just as I made you to begin with, I am able and willing to carry you and bear your burdens, until I finally deliver you into a carefree, burden-free, never-ending life. Because I am unchanging, I will always have the strength to carry you, and because I am unchanging I will always fulfill all my promises. Have you committed yourself to the everlasting, unchanging arms of your Creator and Lord? His arms are the only ones strong enough to last through this life, and long enough to deliver you to the next. We all make confessions, assertions and affirmation of how we would tackle the challenges of the days we are yet to witness or see. But most of these assertions proved to be ingenuine in the face of the challenges we actually made them for. It is because, these affirmations to ourselves doesn’t have power in themselves to stand in the face of challenges, but these affirmations strength is in the power of lifestyle. What matters most is using those assertions, affirmations and confessions to build a lifestyle that we will fully adapt to and when the challenges floods in, our lifestyle will endure, persist and prevail. The statement above was emphatically stated by Apostle Peter and the other apostles not to deny Jesus and depart from him, but when the challenges they had actually made the decisions for dawn on them as a reality, they couldn’t hold true to their confessions and affirmations; they all ran away. It is actually because, those decisions in themselves, are not power that make you stand in the time of your challenges but your lifestyle will enable you to stand. Although, this lifestyle has its root in these decisions, affirmations and confessions. But what we are supposed to do after making such affirmations is to work on the affirmation and employ it to build a lifestyle, character and attitude inside of us. Let me quickly say this, on the day of evil, there is no salvation. Your salvation on the day of evil is the prior decision that has culminated into a lifestyle inside of you; and you draw from that well of lifestyle and give life answers to the questions it poses to you. People who pass exams passed from their study room, not inside the examination hall. Others who go along them without going through the study room will never pass such exams. My point, for the day of challenges and for the day that things might not work as you expect, you need a decision. A prior decision to follow Jesus on earth will grant you salvation on the Day of Judgment. Just as making canal save you from impending flood. Most of the most important issues and salvation issues in life comes as a result of a prior decision and affirmation. But the power that sustain this decisions and affirmations is lifestyle. You said, God is your refuge and your strength. Good! But how much are you close to that God who you called your refuge and strength, so that an actual lifestyle that commands that affirmations is build up in you? You said you are for signs and wonders, Good. But how much do you know about signs and wonders and build the lifestyle through knowledge that can truly make you signs and wonders? You have to empower your decisions by living the lifestyle of your decision because without which, when the challenges really come, you won’t stand with your decision and not standing with your decision might be your doom. Apostle Peter and the others were able to later stand with their affirmations and confessions after a lifestyle that relate with their decisions culminated inside of them. Being God’s masterpiece does not mean you won’t have challenges. Challenges are part of life. Many thinks when you are with Christ, it's all time enjoyment and merry making. Thereby restricting themselves in facing challenges. But on the contrary, there are challenges characterised by outer forces the devil. Much reason Jesus commands us in Luke 21:36 Watch ye therefore, and pray always, that ye may be accounted worthy to escape all these things that shall come to pass, and to stand before the Son of man. The only time when happiness and joy will be permanent is when time do not exist at all, that is eternity. So before then, whatever life gives you today, accept it, thank God, and do something good about it. Christ in you is the strength to face challenges of life. Don't give up. Jesus alone is the salvation of all things and following him build the lifestyle inside of us. Accept Jesus today if you have not. Jesus loves you. God bless you. Before the seven weeks expire, what you have trusted God all your life for, will be delivered into your hands! For those trusting God to be settled maritally, starting from this service, you will locate your miracle spouse! For those trusting God for job settlement, before the seven weeks are over, your appointment letter shall be in your hands! For those trusting God for the fruit of the womb, the last menstrual cycle you saw shall be the last until your child is brought forth! On this Father’s day, every man suffering shortage and scarcity, today, it is over forever! As your evangelism card is getting filled, your resources, accounts, opportunities and favour shall be filling up! Every spirit of death looking for you or your loved ones, that arrow of death is returned back to hell! [10Every satanic altar that will not let you or members of your family to go forward is set on fire! [11Every agent of disaster or destruction, when next they see you, they shall see danger! We decree Abuja is safe! The land shall reject every killer, assassin and ritualist NOW! [13 Everyone due for marriage, your season of delay is over! The delay of unemployment is over; the job that is yours shall look for you! The encounter that will counter the agenda of the enemy and make your life to count shall happen for you in this season in Jesus Name! Systems shall lose their peace and rest until what is yours released to you! This week, the harvest due for you shall enter your hand!